Fact or Myth: Do We Really Need Eight Glasses of Water a Day? Water is life. You can survive without food for about a month, but can perish from dehydration in a mere three days. But has our concern for keeping our bodies hydrated led to overconsumption of H2O—and perhaps even pose some health hazards? In extreme circumstances, yes. But the main concern is the purported fallacies associated with how water can benefit our bodies. In 1945, the U.S. Food and Nutrition Board recommended that people drink 2.5 liters of water a day. Evidently, this finding was taken out of context because the following sentence was not considered: “Most of this quantity is contained in prepared foods.” In 1945, the term “prepared” entailed foods that contained water, such as fruits and vegetables. As a result, there was an urge to consume 8 glasses of water (2.5 liters) in addition to food and drinks we were already consuming throughout the day, which added up to this amount. 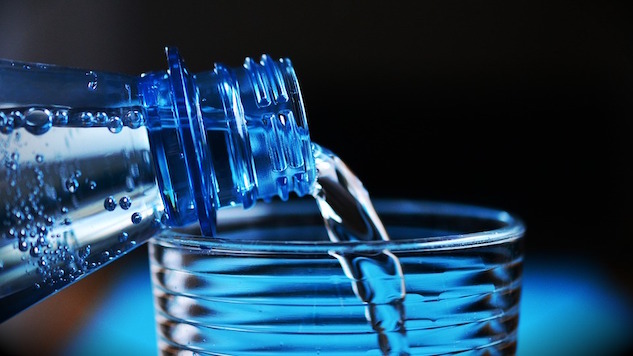 Today, iterations and (mis)interpretations of these guidelines are still being circulated by organizations such as Hydration For Health, where water is made to be significant in promoting the well-being of the general populace. According to the British Medical Journal, Hydration for Health is an “organization” with vested interests in pushing the public to consume more water; it is sponsored by and was created by French food giant Danone, a major producer of bottled water (e.g. Evian). Dr. Goldfarb advises us to trust our bodies: “We’re really nicely designed so we won’t get dehydrated significantly. Evolution has ensured that humans with multiples systems will react accordingly at the first sign of thirst. For instance, our kidneys will actually preserve water and prevent excretion of urine before we even have our first sensation of thirst.” So we are always trying to retain water—we’ve been primed for it—perhaps, thanks to our early human ancestors and their ability to survive in arid, harsh conditions with limited access to water. Tiffany Leigh is a Toronto-based food, travel, and science writer.